Year and Place of Birth: Born February 24, 1958, Voronezh City, Russia. Husband - Alexander Gouchtchin, daughter - Anastasiia Gouchtchina,born in 1989. 1995- August 1999 Dotsent (associate professor) at the Department of Cultural Studies, VSU, Voronezh, Russia. 1988-1993 Lecturer (prepodavatel) at the Department of Philosophy, VSU. June 12 - July 26, 1995. Summer Institute in American Studies, LSU (Baton Rouge, LA), (Washington, DC), USA.PS DC), USA. January 23-27, 1995. Seminar on Russian Philosophy, Department of Teachers'Upgrading, Moscow Avian Institute. September 1, 1997 – 31 August 1999 – The RSS individual grant for the research project "Business Ethics in Russia from Multicultural Perspective). Fulbright Junior Faculty Development Program Grant, USA,1996. Bureau of Educational and Cultural Affairs of the United States Information Agency Grant, 1995. Diploma with Honor, VSU, Voronezh, Russia, 1981. Academic title of Docent, Department of Philosophy, Voronezh State University, 1995. Ph.D. (Philosophy), Moscow State University, 1988. M.A. (History, English), Voronezh State University, 1981. Cultural Studies, American Studies, Business Ethics, Women Studies. Second Field: History, Philosophy, Aesthetics. Courses Taught Previously: History of World Culture, History of Russian Culture, Philosophy and Theory of Culture, Business Ethics, Aesthetics, American Studies, Philosophy, History of Philosophy, Ethics. Current Research: The specifics of Russian Business Capital, Work-Related Values in Russia,Cross-Cultural Study of Business Ethics and Management, History of Russian and American Business, Work and Gender in Different Cultures. The International Conference "Rewriting Women's History in the Countries of Transition", European Humanities University, Minsk, Belarus, 30 September –1 October, 1999. The Fourth European Sociology Association Conference"Will Europe Work? ", 18-21 August, 1999, Vrije University,Amsterdam, The Netherlands. The Third International Conference on Enterprise in Transition, Split-&#158; ibenik, Croatia, May 27-29, 1999. The International Conference "Literature in the Context of Culture", Moscow, the Russian Association of American Studies and the Journalism Department of the Moscow State University, December 7-12, 1998, Moscow State University. The International Conference "the Concepts of Human and Behavior Patterns of the East and the West: Interdisciplinary approach", Russian State University for Humanities(RSUH) at the Institute of Cultural Anthropology, 30 May- 4 June 1998, Moscow. The regional conference "The Destructive Processes in the Development of Contemporary Russian Culture", the Department of Cultural Studies in the Voronezh State University, 28 May 1998, Voronezh, Russia. The 14th European Meeting on Cybernetics and Systems Researches, the Austrian Society for Cybernetic Studies, the University of Vienna, Austria, 14-17 April1998. The International Cultural Industries Management Conference.Stern School of Business, New York University, May,1997, New York, USA. The International Conference "The 20th Century and Philosophy".Moscow State Press Academy, Moscow, 12-14 March, 1994. Russian Association of American Culture Studies. Three articles ("Russian Business in Search for Stability", "Cultural Interaction and Reformative-Innovative Stereotype in Russian Culture" and "The Loveless Culture") are under consideration now. Business Ethics in Russia: Sociocultural and Historical Background and Problems of its Teaching. ? ??. : The Third International Conference "Enterprise in Transition".The Book of Proceedings. Split-Sibenik, May 1999. Extended Abstract, pp. 279-283 and full paper on CD-ROM(in English). Working Community and Systems Thinking Dialectics. In:STIQE'98: proceedings of the 4th International Conference on Systems Thinking, Innovation, Entrepreneurship and Environment, Maribor, Slovenia, December 6-9, 1998 / ed. By M. Ribernik, M. Mulej. – Maribor: Institute for Entrepreneurship at Faculty of Business Economics, 1998, p. 53-64. (in English). Labor Culture and its Significance for the Development of Culture. In Destructive Processes in the Development of Russian Contemporary Culture. Proceedings of the Regional Scientific Conference, Voronezn State University, Voronezh, May 1998, p. 50-54 (in Russian). Identifying Russian Cultural Constitution. In: Cybernetics and Systems. Ed. R. Trappl. Austrian Society for Cybernetic Studies, Vienna, 1998, p.448-453 (In English,in co-authorship). Will Russia Become an Industrial or Post-Industrial Society? In: Cybernetics and Systems. Ed. R. Trappl. Austrian Society for Cybernetic Studies, Vienna, 1998,p. 454-457 (In English, in co-authorship). The Image of a Business Woman in American Movies. In: Abstracts of the Conference "Literature in the Context of Culture". December 7-12, 1998, Moscow, 143-150(in English and in Russian). Working Activity as a Foundation of a Behavioral Code.In Sociobiology of Ritual and Group Identity: A Homology of Annual and Human Behavior. Annual Meeting of the European Sociobiological Society and Concepts of Humans and Behavior Patterns in the Cultures of the East and the West: Interdisciplinary Approach. Satellite Meeting.Proceedings of International Conference. Moscow,1998, p.33-34 (in Russian). Culturology. The Dictionary of Terms. Voronezh: VSU,1996. 109 p. (In co-authorship). Cultural Studies and its Role in the Formation of the New Style of Thinking. In Humanitarization of Higher Education. Culturology. Ed. A. Matveev. Voronezh:VSU, 1996, p. 20-23. Ethical Foundations of Private Business in Russia. In Russia at the Turn of the XXI Century (3). Ed. A. Kravets. Voronezh: VSU, 1995, p. 61-62. Orthodoxy and Political and Law Culture in Russia. In Russian Culture at the Interconfessional Crossroads. Ed. N. Skorobogatko. M: Moscow Avian Institute, 1995,p. 53-55. Postmodernism in American and Russian Culture. In: American Literature and Russia. Ed. 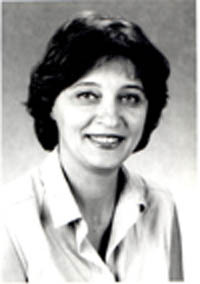 L. Mihaylova. M., 1995,61-64. (In English and in Russian). Seminar Plans on Cultural Studies. Teaching Materials. Voronezh:VSU, 1995. (In co-authorship). - 32 p.
The Philosophical-Theological System by Thomas Aquinas. In The Formation and Development of the Medieval Philosophy. Teaching materials for students.Voronezh: VSU, 1995, p. 23-32. Program of Cultural Studies. Teaching Materials. Voronezh:VSU, 1994 (in co-authorship). 57 p.
The Principles of Aesthetics. Teaching Recommendations for Students. Voronezh: VSU, 1994 (in co-authorship). 32p. Origin of the Marxist Philosophy, Peculiarities and Contradictions of its Development". In The Fundamentals of Philosophical Knowledge. Textbook on Philosophy for Juridical College. Ed. A. Kravets. Voronezh: Voronezh, 1994,p. 81-97. On the Role of Philosophy in Russian Spiritual Culture. In The 20th Century and Philosophy. The Theses of Reports of the International Conference. Ed. A. Ryabov.M: Moscow State Press Academy, 1994, 157-159. Spiritual Reality as a Subject-Matter of Investigation. In Social-Philosophical and Methodological Problems of the Spiritual Production Development. The Proceedings of the Republican Scientific Conference. Ulyanovsk: USU, 1990, 38-40. Specificity of the Subject-Matter in Social Knowledge. M:Institute of Social Science Information, Brochure. Deposited # 45582, 18.11.1991. 72 p.
To the Question of the Specifics of the Science Subject-Matter in Natural and Social-Historical Knowledge. In Scientific-Technological Progress and Actual Problems of Social Science. Ed. V. Shamshurin. M: Institute of Social Science Information, Brochure. Deposited #35594, 16.09.1988. - 53-64. On the Humanitarian and Natural Science Culture Interaction in the Conditions of Scientific-Technological Revolution. In Scientific-Technological Progress and Actual Problems of Social Science. The Theses of Reports of the 8th Inter-Institutes' Symposium. Ed. K. Lyubutkin.Sverdlovsk: Ural SU, 1988, 118-119. On Subject Content of the Notion "Social Reality". In Human Factor. Preprints for the All-Union Conference on the Philosophical Problems of Science and Engineering.Ed. N. Klyagin. M: VINITI, 1987, 8-12. On the Notion "Historical Reality". In The Reports of the Historical Materialism Department Methodological Seminar of the Philosophy Institute of the Academy of Science of the USSR. M: Philosophy Institute, 1987, 67-71. The Methodological Significance of the Notion "Historical Reality" for forecasting and Planning of Social Development.In Theory of Social Progress and Actual Problems of Socialist Development. The Theses of Conference. Ed. I. Utrobin. Perm: PSU, 1986, 237-239. To the Question of the Subject-Matter in Historical Science.In Methodological Problems of Social-Historical Development. The IV Moscow Philosophical Readings of Young Philosophers. The Theses of Reports. Ed. A. Sheptulin. M: VINITI, 1986, 16-17. Historical Experience as One of the Main Sources of the Philosophical Knowledge Development. In Specificity of Philosophical Knowledge and Social Practice.The Proceedings of the VI All-Union Conference of Young Scholars(5). Ed. V. Kuptsov. M: Philosophy Institute,1986, 10-14. On the Problem of Human Subjectivity in the Modern Bourgeois Philosophy. In Man. Philosophy. Culture. The Proceedings of the V All-Union Conference of Young Scholars (2). Ed. G. Smirnov. ? : Philosophy Institute, 1984, 20-24. On Some Features of Bourgeois Philosophy of History. In K.Marx and Modernity: Philosophy, Sociology, Culture. The Proceedings of the IV All-Union Readings of Young Scholars. Ed. V. Malinin. M: VINITI, 1984(X): 42-45. On the Concept of Culture in Sociobiology. In Philosophy,Politics, Culture. The Proceedings of the IV All-Union Readings of Young Scholars. Ed. V. Malinin.M: VINITI, 1984(YIII): 75-78. Correlation of the Theoretical and Empirical in the "Theory of Social Action" by T. Parsons. In Youth, Production and Consciousness. The Proceedings of the All-Union Readings of Young Scientists, Devoted to the 25th Anniversary of the Soviet Sociological Association. Ed. F.Filippov. M: VINITI, 1983, 180-181. Antihumane Orientation of the Modern Biologizational Concepts of the Man. In Philosophical and Social Aspects of the Modern Biology and Medicine Interaction.The Abstracts of the All-Union Young Scientists School Reports. Ed. M. Kuzin. M: VINITI, 1982, 223-224.